Synopsis: Author Tim Packman spins an engaging story about teamwork and competition which is brought to life through the eye catching illustrations by Brendan Sellars. 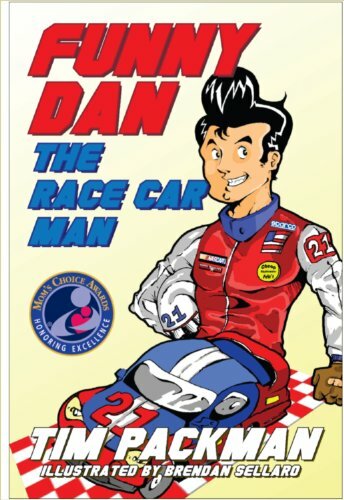 Included is a glossary of racing terms, so get ready to 'start your engines' and join Funny Dan in this exciting race car adventure! About the Author&colon; Tim Packman began his love of racing and reading growing up around the short tracks of Buffalo, N.Y. where his family has been active in all forms of motorsports for decades. He's been part of the NASCAR scene as a publicist, writer, announcer and author for the past 15 years winning several media awards along the way. He resides in Mooresville, N.C. with his wife Dawn.